If you work with an SEO expert, you have encounter times when her recommendations or priorities conflict with the overall goal of improving the website. This will happen when content changes on the website are written for search engines and not for real people. Say you are responsible for your company’s website experience. You sell books online, and some of your key pages are not the product pages for the books themselves, but the category pages for each genre of book that you sell. Your SEO expert tells you that “true crime books online” is a high volume keyword and so recommends adding that phrase into the text of the page sporadically, including in the main heading. On the surface this is no big deal, but once the copy changes are complete, the page reads as if a robot wrote it and in the language that we use to communicate with other human beings every day, it sounds funny. That’s because your SEO expert is writing for the search engines. What should you do in this instance? In my experience, user experience has to win out over SEO. While I agree that SEO is critical to any site’s success, at the end of the day you have created your website for people to use. And the user experience is priority number one. A good SEO strategy understands that the user is the champion. We are solving for the user first, and the search engines second. And so every recommendation or assignment that they come up with should factor in the end effect on the user. Most times, there is no conflict. Search engines prefer a page that loads faster, so does the user. Search engines prefer a domain with higher authority, so does the user. Search engines prefer a page that answers the question a user types in, so does the user. Where conflict exists, it usually comes down to the phrasing that is used in the website copy. And though every attempt should be made to include text that searchers will use to find you on Google, it still must be written so that it can be read and understood easily. Because at the end of the day, you are writing for the user. What is the future of search? If you ask 20 people you might get 20 answers. The truth is that the future of search will depend on a number of different factors. Technological change – what is possible? Business investment – what do they build? Consumer behavior – what do we like? More and more, it is looking like Voice Search will be a big part of the future of search. That may seem like a silly question to some. 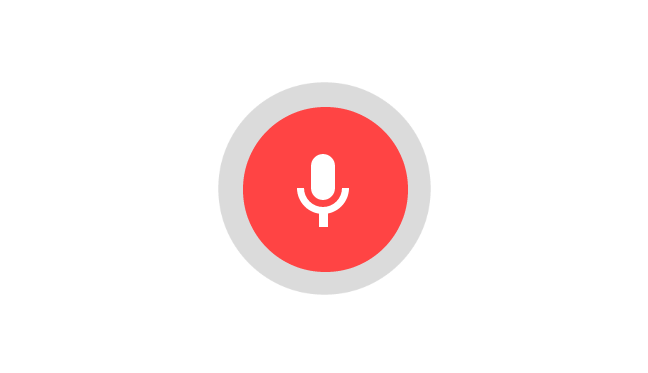 Voice search is exactly what it sounds like, searching with your voice. What started as a convenient option for mobile Googlers has taken on added significance thanks to the rise of personal assistants like Siri and Alexa. Google tells us that as of 2017, 20% of all searches done on mobile devices are voice searches. That is a significant number of searches. And it’s growing every month. But where voice searches done on Google still lead a user to a search engine results page (a SERP), new voice search tools have eliminated the SERP entirely. For devices like the Amazon Echo, Google Home, and Apple Homepod, the entirety of the interaction is spoken and heard. Gartner predicts that nearly 30% of all searches will be done without a screen by 2020. And therein lies the potential issue for many companies. Will Voice Search Destroy Your Business? When searches occur entirely via a conversation with virtual assistants, the first result is often the only one that matters. While users are given the ability to set preferences for certain types of searches or commands, the majority of these voice searches will return one result. And if that result is not for your company, too bad. If the prospect of a voice search world scares you, you are not alone. Rather than bury your head in the sand or hope the future never comes, there are things you can do now to prepare for this inevitability. There are tools and tips out there to begin optimizing for voice search today. But acquiring those inbound links requires some amount of effort on your part. Though it would be great to expect to achieve success in this area organically, for most of us, it’s not so simple. So what can you do to get more inbound links? Nobody wants to link to crappy content. Misspellings and typos, poorly written articles, ugly layouts and visual style, can all impact the perceived quality of content on your website. When given the option of linking to a page with better writing, clearer explanations, and more appealing design, any author or publisher will choose that over the garbage on offer over on your website. By improving the overall quality of your content, you make it more likely that people will link out to it. Do you have the ability to add value in a way that nobody else does? Perhaps you have a level of expertise that is worth sharing, or a fresh take on an old debate or problem? The web is chock full of content, but most of it is not what we would consider unique. If you can create something that is truly new and interesting, people will have no choice but to link to it. When you get other people involved in the development of your content, you create a different incentive for links. Now the people who have contributed have reason to tell their networks and friends. This creates a type of word of mouth virality that most static content you create yourself won’t have. One of the most underrated ways to attract new links is to simply ask for them. But before you can start, you need to know who to ask. An outreach list is a list of bloggers, writers, reporters, websites, publishers, etc. that write about things related to your business. This is a list of people that you want to develop a relationship with, in hopes that they will write about your business, or link to content that you yourself have published. When you are reaching out to the people on your outreach list, you want to be explicit about why. You have developed something that you think they would be interested in. You think their readers would be interested in it. Writers are looking for things to write about, and so want to showcase the value on offer to them. Make news. Do something newsworthy. I’m not talking about publicity stunts here, but I do mean that you should create an intentional strategy that gets the press interested in your business. Celebrity endorsements, live events, major business deals, customer successes, etc. are all ways to build a little hype around your brand. News articles offer potential high-quality links. A not so dirty secret is that pages that already rank higher in search results are more likely to attract more links. That’s because people will often use search to find the resources they use when developing their content. And they are more likely to find content that already has a high ranking. So in addition to everything written above, it is important to have a solid SEO strategy that consistently drives your site up toward the top of the rankings. The higher you go, the more likely some publisher is to find you on their own. The following is a guest post by Ivan Serrano. Ivan is an enthusiastic writer who enjoys learning whatever he can about international communications, and hopes to manage his own global business someday. He also enjoys sharing his knowledge of technology and how it can improve business communications on an international level. Want to make sure that your website is ranking well on Google? What kind of question is that? Of course you do. That being the case, you need to make sure your web design techniques are on par with the way Google currently ranks websites. The fact is that those web design classes you took a few years ago might have given you some valuable foundational skills, but the knowledge you picked up there probably isn’t relevant anymore. That’s because Google is always changing the way it ranks websites in order to account for new trends in technology and user behavior. If you want to stay competitive, you have to keep up with them. One phrase you may have heard already in recent weeks is mobile-first indexing. If you don’t know what that means yet (or if you’re only coming across it for the first time in this article), then pay close attention to what you’re about to read. Mobile-first indexing refers to Google’s most recent approach to ranking websites. 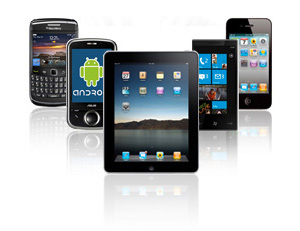 As you may have guessed, this approach involves putting mobile websites ahead of desktop pages. Google ranks each extant page by crawling it, which means that they use a program to look at the information displayed on the page and determine how relevant it will be to any given keywords typed into the search bar by a user. Google used to use a system called desktop-first indexing, which involved crawling the desktop version of each page first and using that information to determine the rankings for both the mobile and desktop versions of the site in question. Under this system, mobile sites could only provide a small bonus to the rankings. Under mobile-first indexing, the process is more or less reversed. 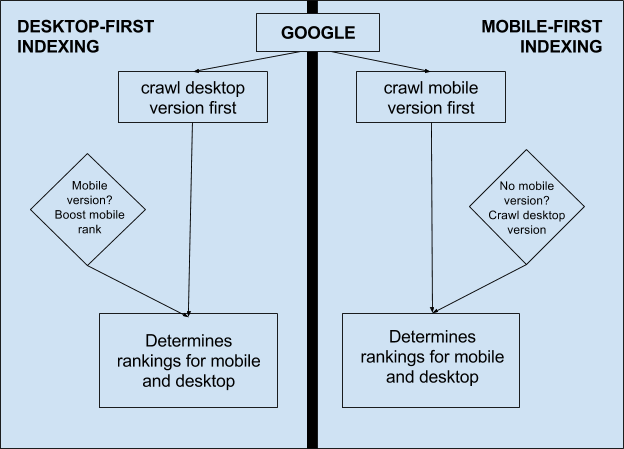 Google now crawls the mobile version of each site first, in order to determine the desktop and mobile rankings for it. It only crawls the desktop version of the site when no mobile version exists. How Does Mobile-First Indexing Affect SEO? Collapse your content and hide it in tabs, since this will be treated the same as visible content on mobile pages. Once you have updated your mobile site, make sure you are using tools such as Google Analytics to obtain feedback you can use to keep improving it. If you are using app indexing on either site, consider implementing Google Analytics into your app through a relevant software development kit. Mobile-first indexing will not require you to throw out everything you know about web design or SEO and start from the ground up. You’ll simply have to adapt your existing content to account for the changes Google is making. Remember: SEO is an ever-evolving practice, so it pays to stay ahead of the curve. It has been an open secret (in marketing circles at least) that Google has been using mobile usability as a ranking factor for some time. And they have hinted at that becoming an even larger factor going forward. 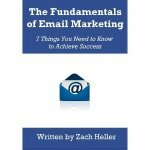 Now, there is no published guide, nor will there ever be, that tells marketers how Google ranks websites. But one thing is very clear, in a mobile world, mobile rankings matter. Google knows this, and if your company is late to creating a great mobile experience for your visitors, you are about to see your traffic tank. Pretty soon, without a mobile-friendly website, customers won’t be able to find you. They will search on Google (by typing or speaking) and a whole bunch of your competitors will show up. But you won’t. Your website may continue to get traffic from people coming there directly, or from desktop searches. But those are becoming a smaller and smaller piece of the pie. And pretty soon your traffic will fall to zero. Speed. Speed always matters online. But it matters even more for mobile. When customers are on their phone, they want things fast. The longer your website takes to load, the more annoyed they get, and the more likely they get to hit the BACK button. Google doesn’t want them to do that. So the more people that do that, the lower your ranking will get. Navigation. The way your customers move around your website on a phone is different than on a desktop. Instead of links, they need buttons. Instead of nav bars, they need menus. If a user can’t find their way from point A to point B, they will get frustrated. The sooner they do, the more likely they are to leave your website. Google doesn’t want that, and you’re going to get punished for it. Readability. Content that does not resize to a user’s screen is often difficult to read or interact with. Too much clutter or tiny type size are two of the most painful mobile usability issues that still happen on many websites. But again, these issues will lead to unhappy users. And Google can’t abide unhappy users. If your website is not mobile-friendly, the time to change that is now. Even if it is, you can do better. And you have to do better, because the mobile-first ranking algorithm is coming for your customers.